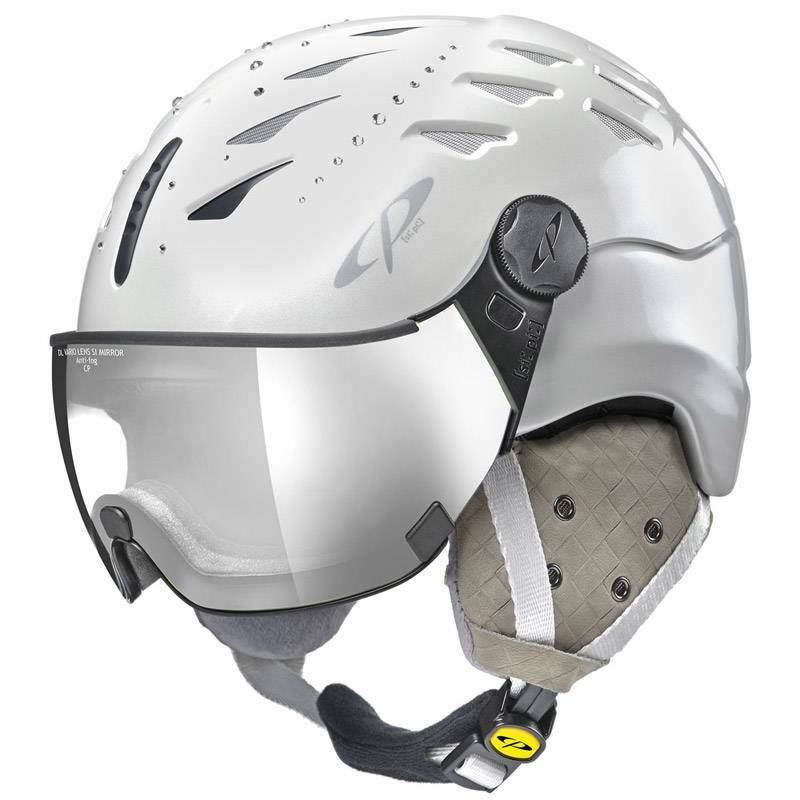 The Curako visor ski helmet is one of the edgier designs from CP Swiss made all in one ski helmets and this one with its combination of red, silver and black definitely makes a statement. 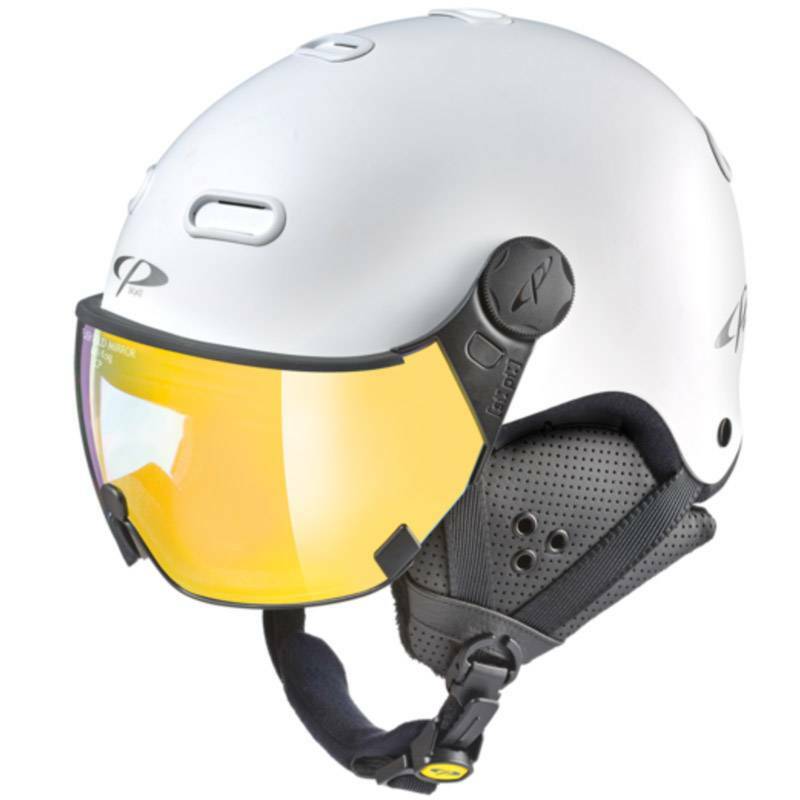 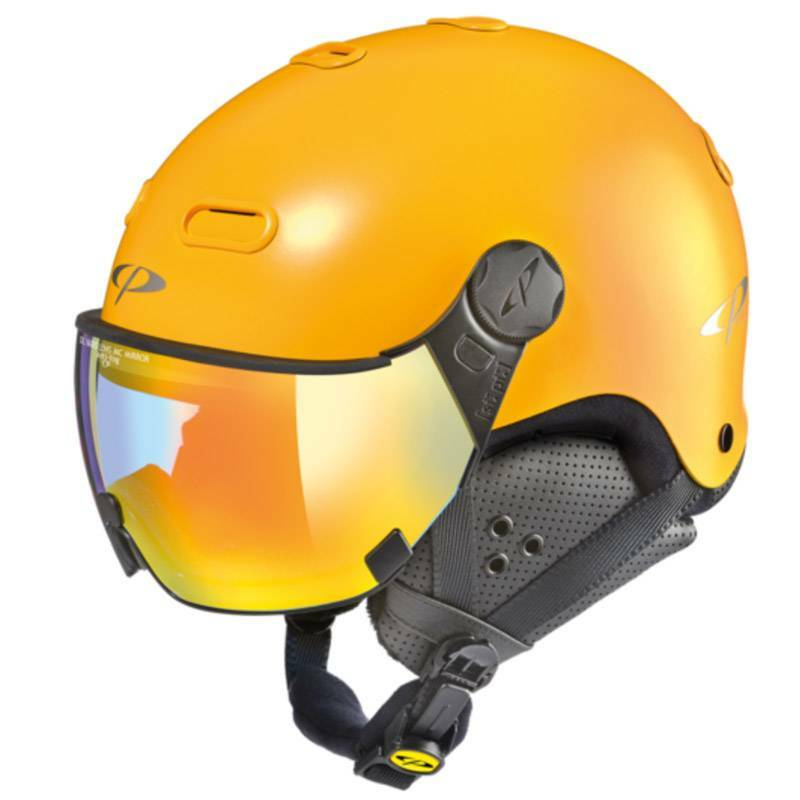 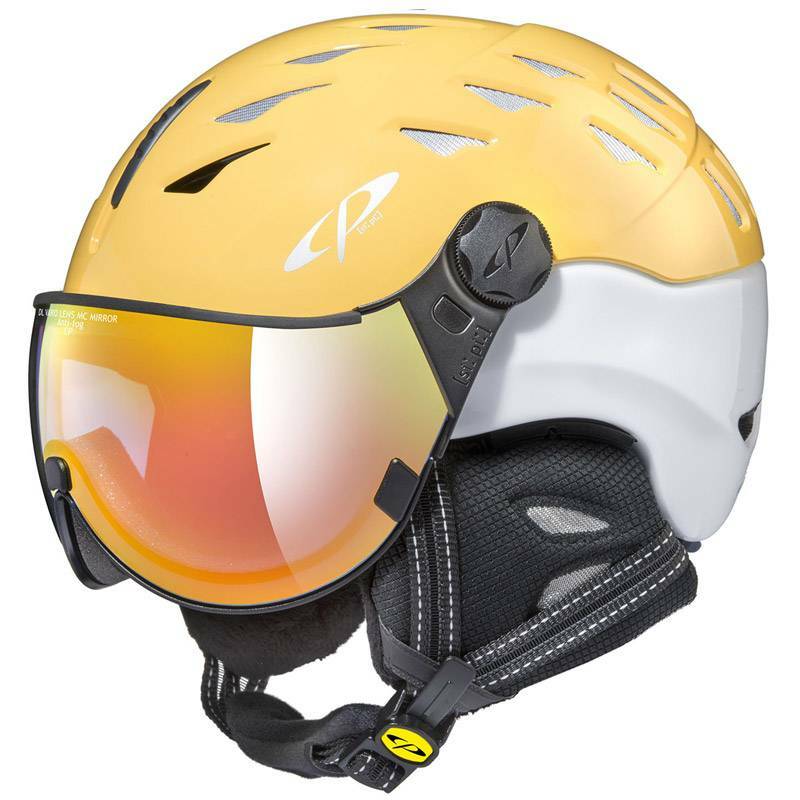 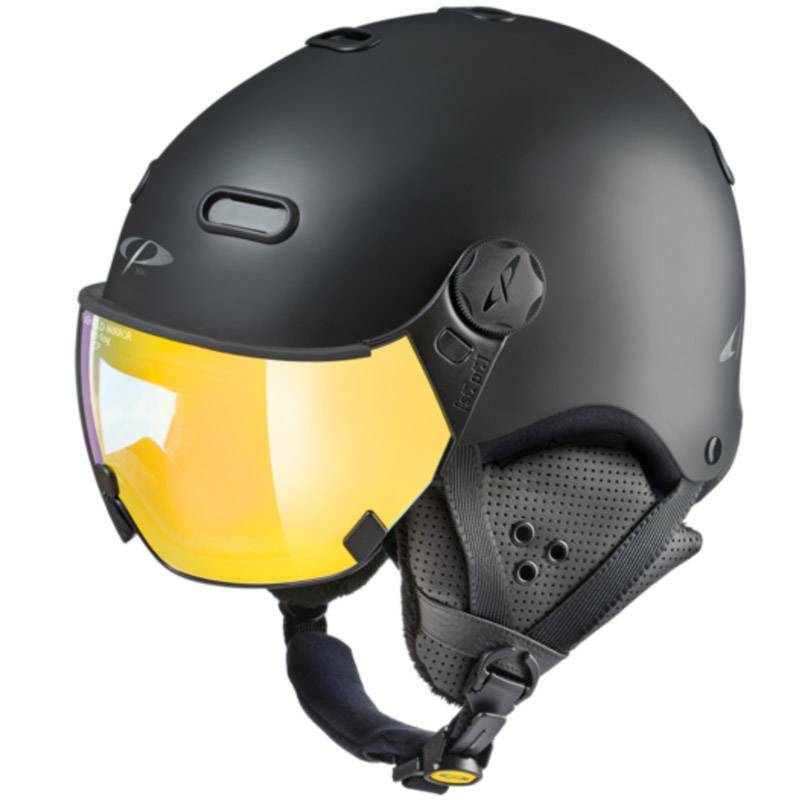 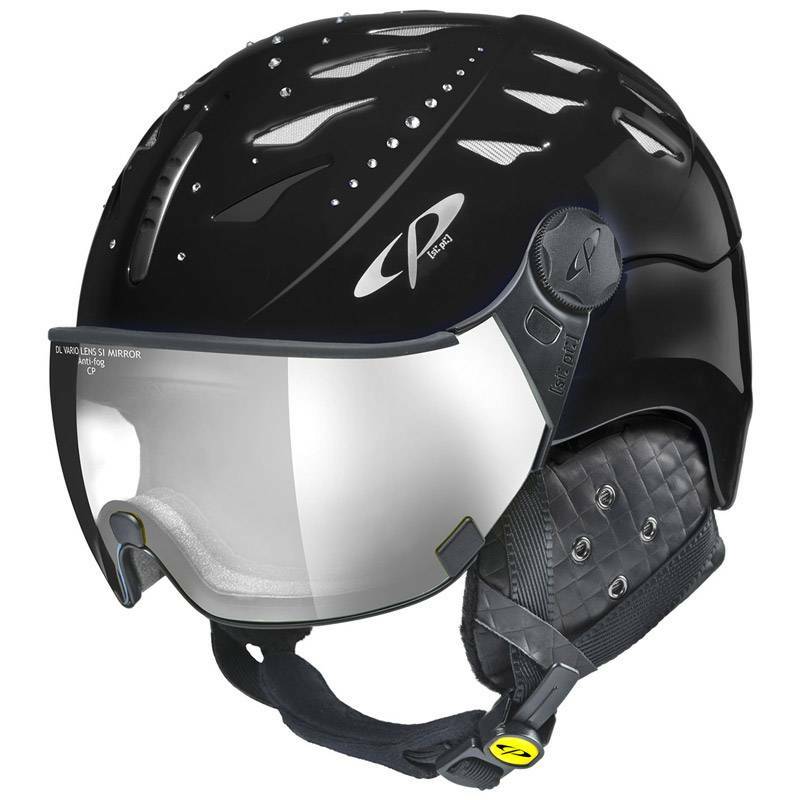 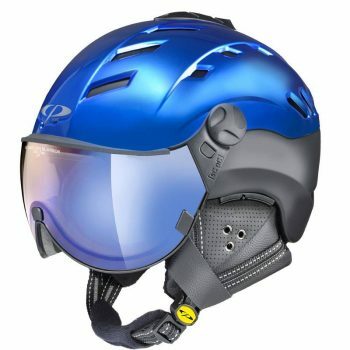 This on sale visor ski helmet from Stefan Kaelin Designer ski wear shop in Aspen is an incredible deal on a all in one ski helmet. 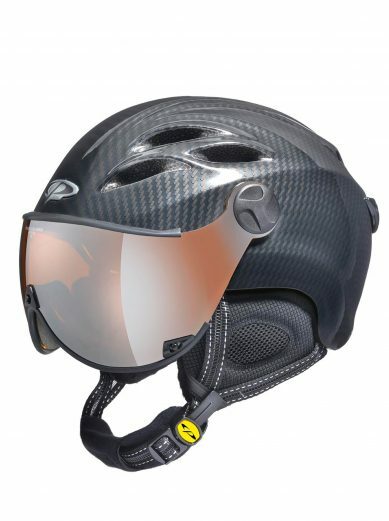 With all the feature you expect with our full price helmets are also available in this all visor ski helmet on sale including changeable visors for all in one helmets‘ these are top quality visors that don’t just look good but offer superior eye protection and unparalleled vision. 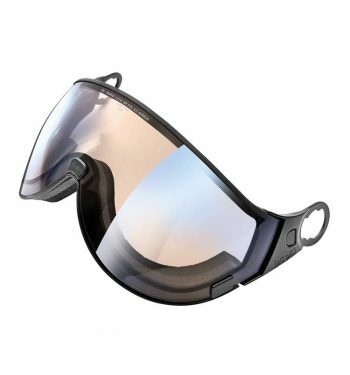 These visor lenses can quickly and easily be changed so you can adjust to the light as the day or weather changes, all without any special tools. 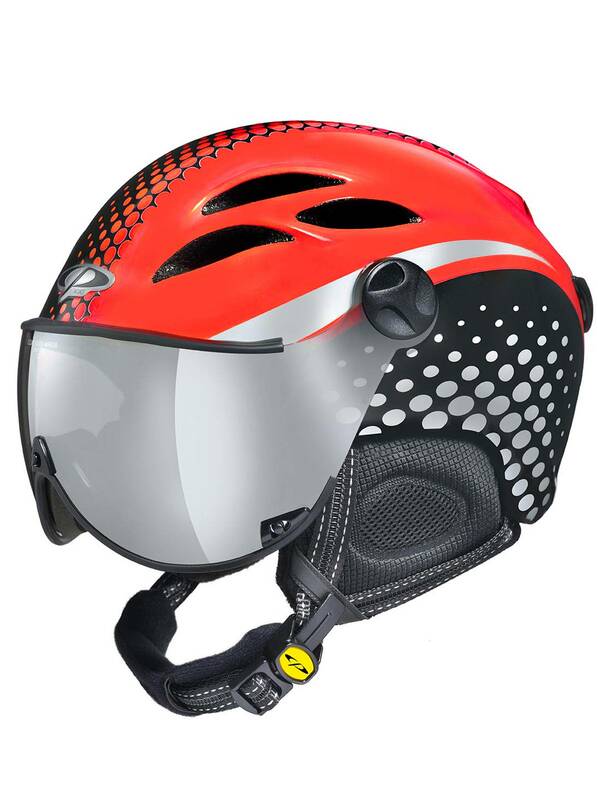 If you ski from December to April like we do you will love the removable ear pads. 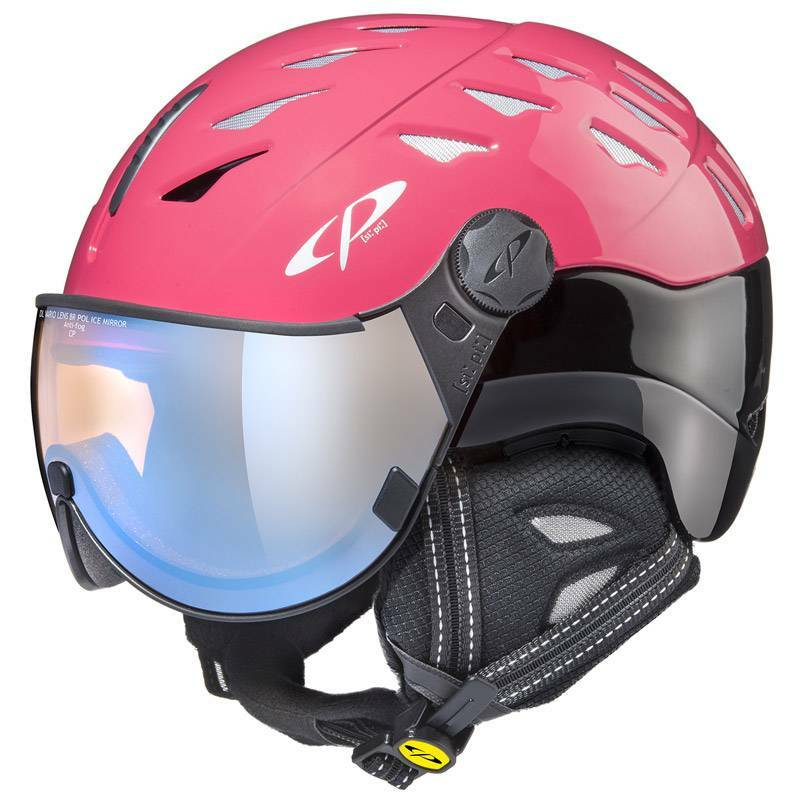 Our ear pads are engineered to provide reliable protection against the snow and cold but can be removed when the weather gets warmer, you will love this feature when you are spring skiing on soft bump runs.. 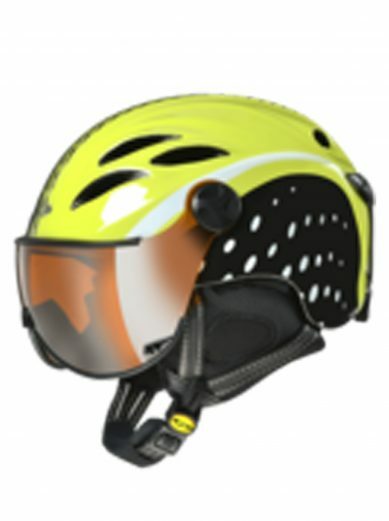 The quality construction of the ear pads lets you hear well so you can communicate with your friends with no problem. 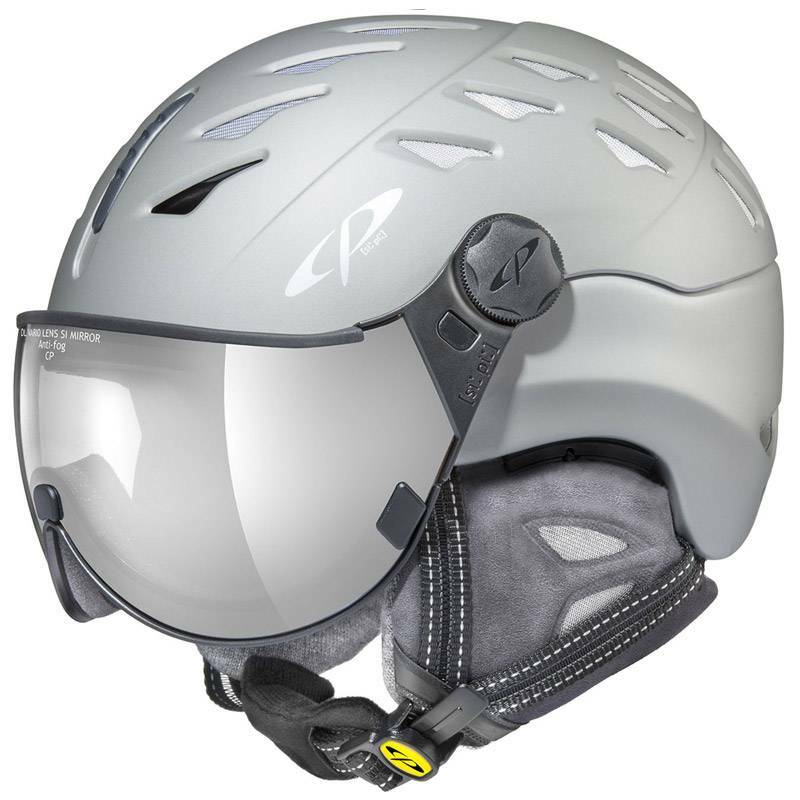 The gray visor is a great first visor as the neutral color works well in all kinds of conditions, but you can add more from our online ski store anytime. 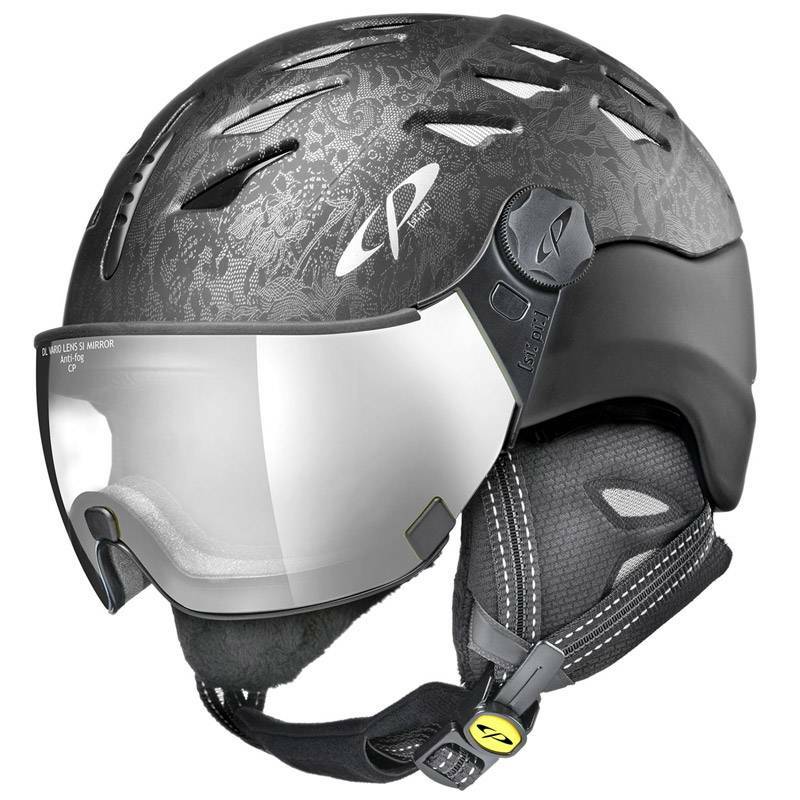 These on sale ski helmets are going fast so order yours online today!